» Check out this new listing!! Check out this new listing!! 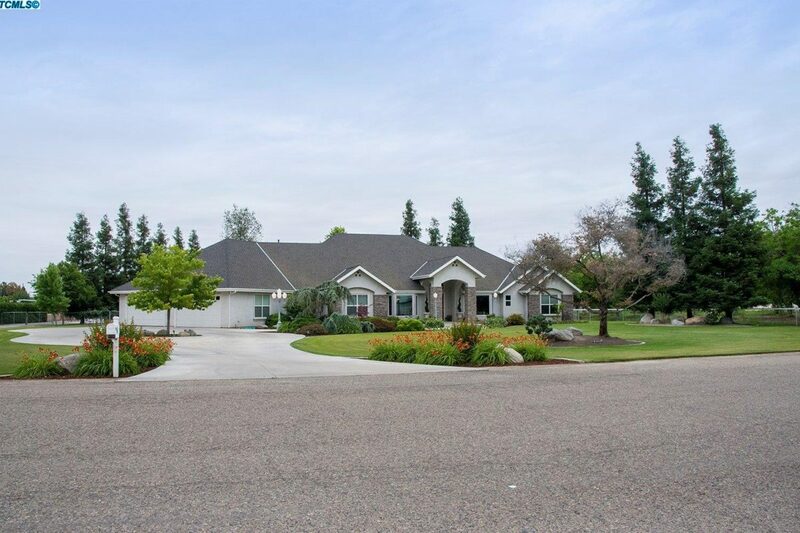 Custom home in northeast Tulare on 2.15 acres, 4,055 square feet with 4 bedrooms and 4 baths. This gorgeous home offers quality and comfort with the owner sparing no expense in interior and exterior features. Dacor appliances in kitchen, custom cabinetry and center island. The kitchen is open to the family room and just steps from the formal dining area and formal living room/sitting area. Spacious bedrooms with backyard access from the master suite. This home also features a game room, perfect for gatherings, and an over sized 4 car garage with built-in cabinets. From the open, expansive patio, enjoy the lovely backyard with well manicured landscaping presenting a park-like setting. Also on the property are solar panels, horse corrals, pasture, and a shop that allows many possibilities for animals and outdoor projects. To see all beauty of this home, click here.